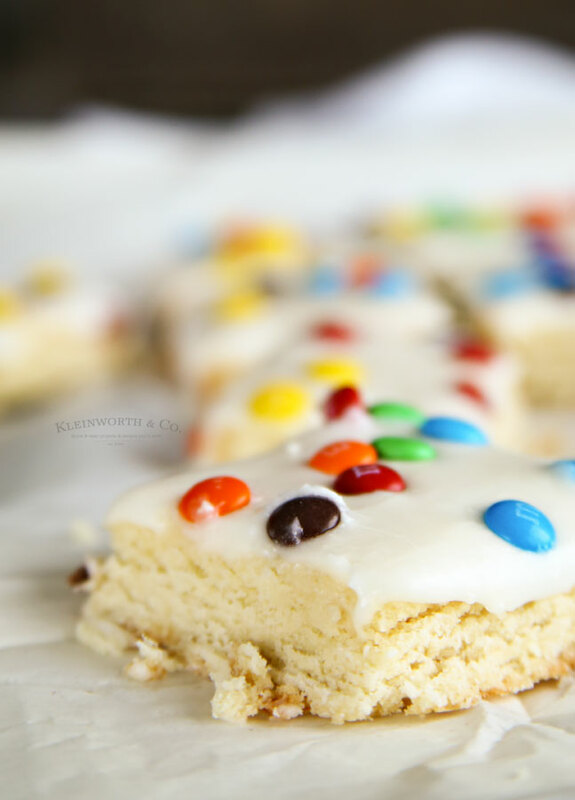 M&M Sugar Cookie Bars – deliciously frosted soft sugar cookie base, topped with mini m&m’s! You can’t go wrong with these! Hi friends! How have you been? 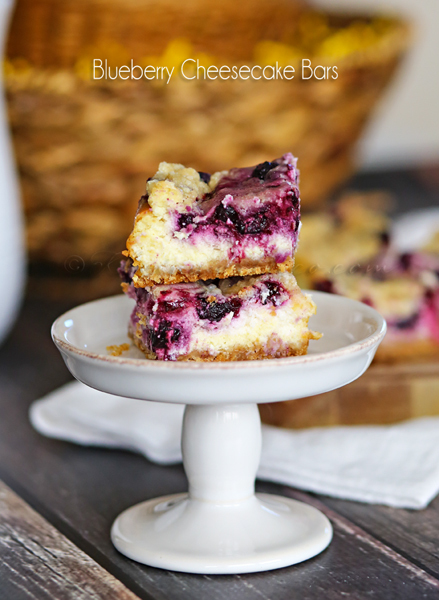 We are sure enjoying spring here & that means I’m baking all sorts of goodies. I’m not sure why, but the sunshine & slightly warmer temps give me the urge to bake. The whole family was really craving sugar cookies one weekend, but I was really tight on time. I needed an alternative to mixing, rolling, cutting, baking & then frosting so many individual cookies. 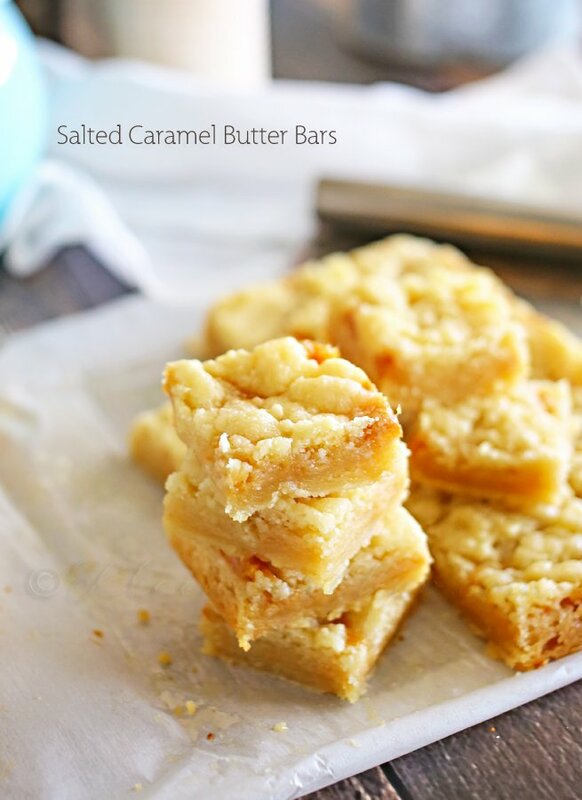 But I knew that making sugar cookie bars was quick & easy, which made them the perfect dessert for us. I love these because I can mix the dough, transfer it to one single baking pan & bake like one giant rectangular cookie. Then when it comes to decorating it is as easy as frosting a sheet cake. Just spread it on, sprinkle on your mini m&m’s & cut. 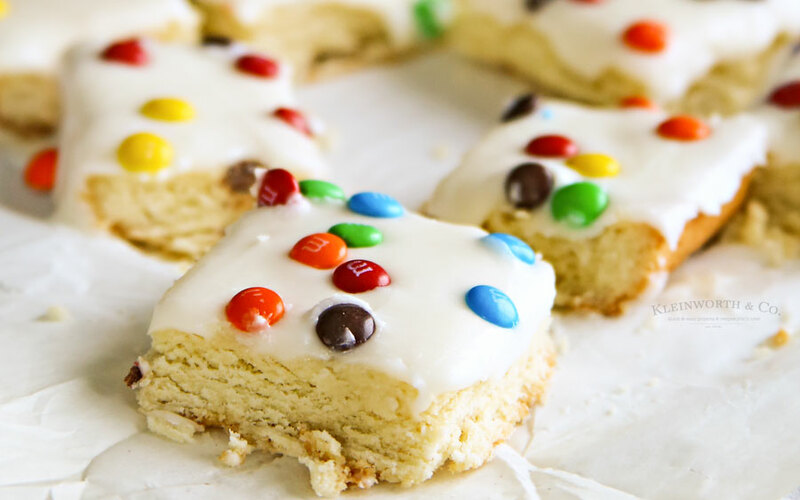 So when you really want a sugar cookie without all the extra work, these M&M Sugar Cookie Bars are the perfect alternative. I know you will love them as much as we do. Enjoy! Line a 9 x 13 pan with parchment & spray lightly with cooking spray - set aside. In a mixer bowl with the paddle attachment, cream together butter & sugar until light & fluffy. Mix in egg, egg white, sour cream & vanilla until well combined. Slowly stir in flour, baking powder, & salt to form a crumbly dough. Transfer dough to prepared pan & press into an even layer. Using a fork, poke the dough every few inches so it will bake evenly. Bake17-20 minutes or until lightly browned around the edges. Add vanilla & salt & beat until fluffy. 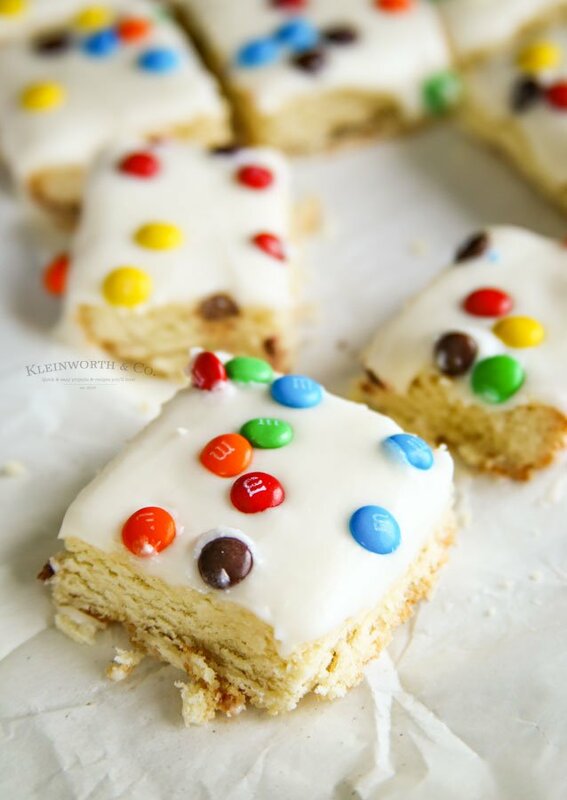 Spread over cooled bars, sprinkle with mini m&m’s & cut into squares. Looking for more of our favorite cookie recipes? ?